Buck Steel is an industry leading supplier of the highest quality Missouri metal buildings and Missouri steel buildings. With over a decade of experience supplying Missouri metal buildings to The Show Me State, Buck Steel can help you turn your ideas into reality. 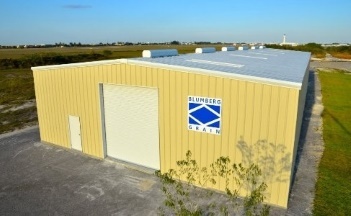 Whether the project is a simple steel garage in Columbia, a metal warehouse in Kansas City, a steel church in St. Louis, a retail metal building in Springfield, a raised center metal barn in Joplin, or a steel riding arena in Jefferson City, our knowledge of Missouri metal building and Missouri building codes helps to ensure your projects success. Buck Steel supplies pre-engineered metal buildings and metal garages for agricultural, aviation, church, commercial and retail, small business use. Whether your Missouri metal building project involves a hipped roof, parapet, leanto or inset bay, there is no challenge our estimators can not tackle. Our Internet Specials can be customized to suit your needs, and include all the doors, trim, drawings and accessories that other's charge extra for! We have decades of Missouri steel building experience from simple backyard shops to complex commercial projects which helps to ensure your metal building project goes smoothly and stays on budget. We are not a high pressure telemarketing metal building broker; we are metal building industry professionals and dedicated to serving our customers and to the success of their Missouri metal building projects. We understand that price matters. Our knowledge of Missouri steel buildings and thousands of completed projects allows us to value-engineer your metal building to save money. CALL US and we'll explain the Missouri metal building process 'from quote to completion' and provide you with realistic budgeting numbers for materials, concrete and erecting. CALL US and we'll explain our extensive commercial project experience, foundation design services, and ability to provide you with accurate quotes with preliminary drawings in days, not weeks. Whether you already specialize in PEMB design and are looking for an experienced company to work with or are new to using steel in projects and looking for guidance, CALL US for a free pre-design consultation. Whether your Missouri steel building project is in Kansas City, St. Louis, Springfield, Columbia, Independence, Lee's Summit, St. Joseph, Joplin, Jefferson City, Wildwood, Liberty or in Gladstone, chances are there are Buck Steel metal buildings right in your own backyard! Are you considering block construction, a pole barn or tubular steel building kit? If so, we encourage you to call us so we can explain the benefits of commercial red-iron Missouri steel buildings from Buck Steel.